sewing space ensures easy maneuvering of fabric. – 2-thread overlock – rolled edge and flatlock, wide and narrow. changing the presser foot or stitchplate. Auto Tension Dial – you select the desired stitch and thread tension is automatically set. Easy threading instructions – step-by-step interactive DVD included in the box. 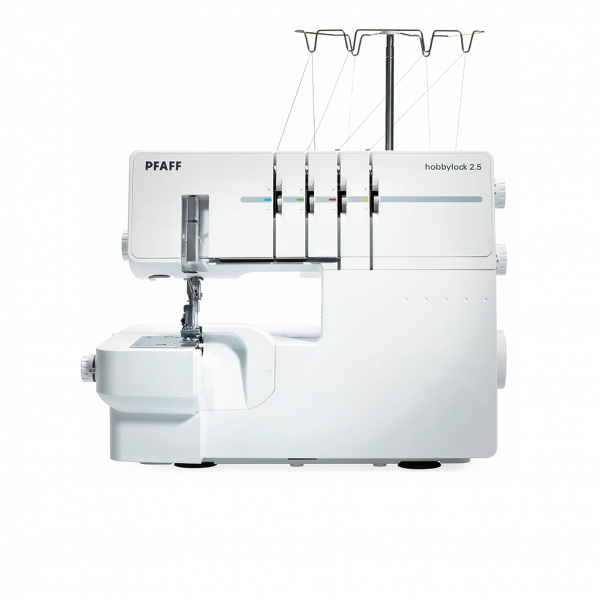 PFAFF® Design – built to make sewing easy and to achieve the professional results that the sewer wants. 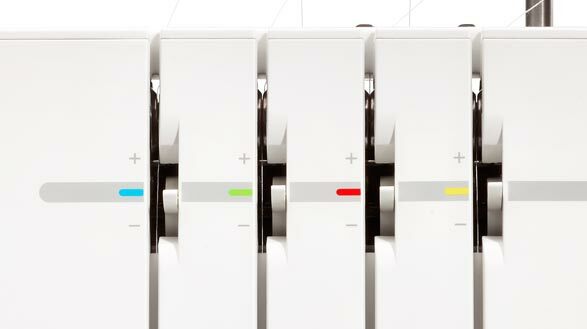 Differential feed – adjustable for perfectly even seams, no stretching of knits or puckering of fine fabrics. Electronic piercing power – stitch-by-stitch control with full piercing power at all speeds. – Snap-on presser feet – easy to change to optional feet for specialty techniques. – Universal Standard presser foot – can be used with all built-in stitches. accessory catalogue at www.pfaff.com for more details. Upper cutter mounted from below – convenient when threading. No need to disengage. Built in two thread converter – easy conversion to 2-thread stitches. Built in extended carrying handle – move the machine without tangling the threads.